In KS1 children need opportunities to develop their mathematical reasoning across all areas of the curriculum – and with a carefully planned maths area you can offer a wide range of resources to enrich children’s mathematical thinking. This maths number resource collection supports number and calculating and can be used effectively to help children consolidate their knowledge and understanding. The resources offer a rich variety of opportunities to develop fluency, mathematical reasoning and approach problem solving in imaginative ways. For children exploring number, through hands on, open-ended activities and games brings maths to life. Including natural resources to sort, match, order and compare as well as lots of equipment to learn about number through games, rhymes and songs – these experiences lay down strong foundations for later learning. Tagua Beads – Beautiful colours and shapes in this tactile bead set, perfect for counting and sorting. A great open-ended resource which can enhance maths play. Maths Games Collection – Set of Dice & Spinners and 3 x Games boards. 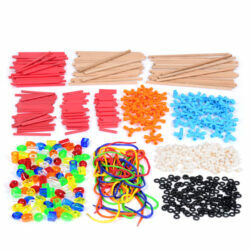 With this great set of maths resources, you will be able to design any number of simple games. It includes a whiteboard for recording and tallying, a good set of dice and spinners along with a games board to support moving and counting. Set of Meghoni Slices and Set of Mixed Shells – These natural materials are the perfect open-ended resource for your classroom. Their unusual patterns and shapes will excite children as they count and sort. Set of Number Cards & Signs – Set of green and blue maths Signs ( + – x / = ) and number cards 0-10. Set of Bean Bags – 7cm per bean bag – Counting in 5’s, Counting in 10’s and Number beanbags. These counting bean bags are perfect for teaching number sequences. All sets include a cotton string storage bag. 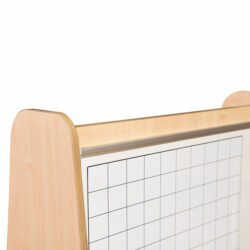 Giant A4 Calculator and book stand – 300 x 210mm – This multifunction calculator is ideal for introducing basic maths operation to children. Its giant size enables easy function for little fingers. Calculating Sticks – 24 x 1.2 x 2.3 cm – This set offers a rich range of opportunities to number, size and position as children sort, count, order and line up these materials. Our colourful calculating sticks help children visualize numbers and results in a broader sense, opening-up the world of numbers playfully. Set of Dowling – 15 x 25cm (8mm), 15 x 20cm (8mm), 20 x 10cm (8mm). 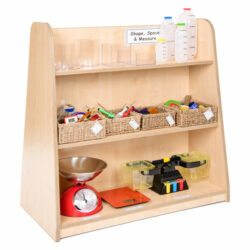 In three sizes, these wooden dowling’s are perfect for children to sort by size. Set of Mini Whiteboard Markers in red, blue, green and black. These short whiteboard pens are available in 4 colours and have been designed especially for use with our boards. 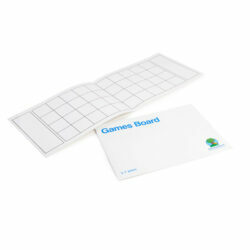 6 x A4 Multiplication Square Whiteboard – 12 x 12 multiplication square on one side, a blank 13 x 13 grid on the reverse.